9mm Mag Tech for the win. My new Target II doesn't like many brands of factory ammo. WWB, Fed AE, even some old Win SXT 147 JHP doesn't shoot well. Speer Lawman 125 FMJ is good, but spendy and hard to find. The last few days I've been shooting Mag Tech 115 FMJ. Very impressive consistency and accuracy. Today I was getting very nice groups on paper at 50 yards and plinking at 100 yards was very fun. I've always had good luck with the brass for handloading too. A few months back I ordered a 1000 rounds of Magtech 115gr from Brownells for $155 shipped. I thought they shot great and were pretty clean. I just placed an order for some 45acp. This will be my first try with Magtech 45. My new Target II doesn't like many brands of factory ammo.. 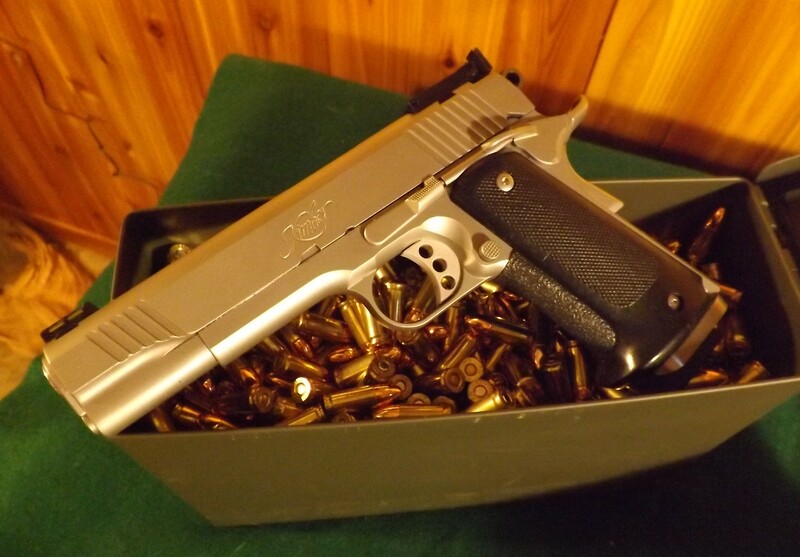 I also have a T-2 and I've been running Fed Champion, Remington, and Sig Sauer … all 115s, FMJ. I use mainly Chip McCormick mags and have had no running issues at all. Best accuracy has been with the Sig. I try to keep my cartridge nomenclature down to a science even I can understand. For example, I had been shooting with a friend, and we were doing some righteous disciplines. He wondered what we were using. I told him to read the lid, I always mark it. He kind of shrugged and said, "What is code mean? It says 1-9-2-7." "I try to keep my records simple to grasp," I responded, "And that mark would be the date my grandfather said the government gave him the ammunition..."
Once I fit the new extractor I've had no reliability issues, just accuracy issues with some FMJ ammo. I only use Magtech....They run flawless in every gun micro and full size, regardless of 9 or 45, in my personal experience, anyway.